DIV. 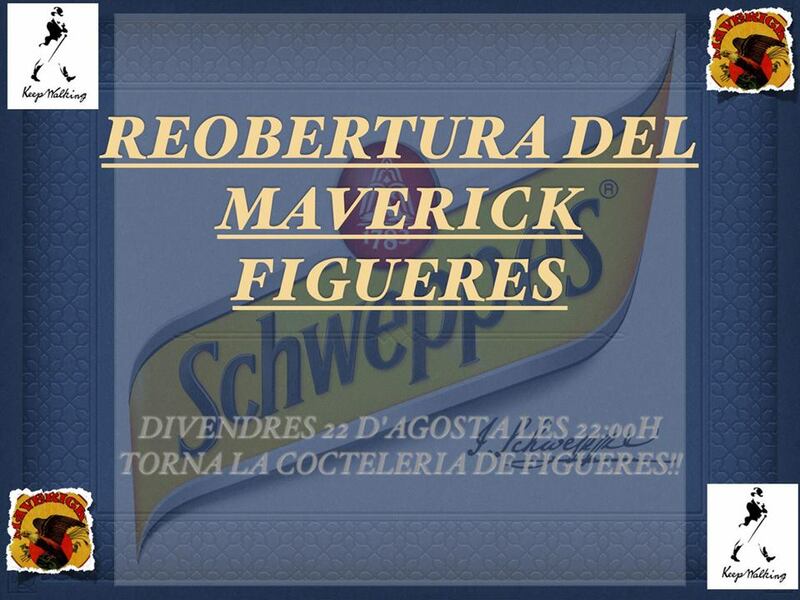 22 TORNEM A OBRIR LES NOSTRES PORTES DEL Bar Maverick A LA GENT DE FIGUERES, EL NOSTRE POBLE, VENIM AMB ÀNIMS I GANES DE TORNAR ENGRESCAR A TOTS VOSALTRES DINS EL MÓN DE LA COCTELERIA! AQUEST DIVENDRES 22 D’AGOST A PARTIR DE LES 22:00H TORNAREM ESTAR AL VOSTRE SERVEI PER DONAR EL MILLOR TRACTE POSSIBLE AMB UN AMBIENT TRANQUIL I UNA BONA MUSICA! JUNTAMENT AMB EL NOSTRE COCTELER David Carreras Espigule , QUE HA ESTAT SELECCIONAT ENTRE ELS 20 CLASSIFICATS AL CONCURS NACIONAL DE CUTTY SARK, I LES DOS CAMBRERES LA Sara Pato I LA Marta Aguado Serrano ! ESTAREM AL VOSTRE SERVEI AMB GANES DE QUÈ SEGUIU ESTANT A GUST AMB NOSALTRES! JO HI ANIRE NO M’HE PUC PERDRE AQUESTA FESTA!